Karen Sipps seeks to encourage, equip, and empower her audience with a little bit of humor and a whole lot of truth! Her book, More Than Sales: Seeking God’s Heart for Your Direct Sales Business, reaches women daily with encouragement. She blogs at karensippswrites.com and has published articles on: Shattered Magazine, While Magazine, and Clubhouse Jr. She also blogs regularly at www.GodSizedDreams.com. 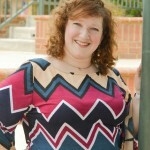 Karen is available to speak at churches, conferences, retreats, direct sales events, and camps. Seeds and Harvest Originally geared for the mom (or grandparent) who’s battling strong-willed teenagers, Karen helps you learn the importance of sowing seeds that will produce a harvest, and takes you on her personal testimony as a strong-willed-teenager-turned-Jesus-follower, as her grandmother sowed the very first seeds of faith into Karen’s heart nearly 40 years ago. You’ll walk away encouraged and inspired as you realize you were called to this parenting journey for a purpose. Through the Desert: A Study of Exodus Walk through the journey of the Israelites, recently exiled from Egypt and wandering through the desert for forty years. This study helps answer the questions burning in the hearts of those who feel “stuck.” Stuck in business. Stuck in sales. Stuck in life. Karen helps you examine their path, compare it to your own, and walk away with an action plan to enter your very own promised land (this session is geared toward direct sellers but can be adapted toward any group “stuck” in their personal desert). Chasing Ninevah It’s tough to lay down your own desires when God calls you to do something that seems crazy. It’s even tougher to go years “almost” obeying God and living in that area of “almost blessing” but Karen did it. Through personal testimony and Biblical truth, Karen helps you discover your personal Ninevah as you walk through the life of Jonah together. Special Topics Looking for a particular topic, or have a retreat with a specific focus? Use the contact form, and Karen can create a topical Bible Study just for you. Because Karen is a full-time wife, mother, and engineer, she is available to speak once per month for weekend events, or several times per month for weekday events or weekend events that do not require an overnight stay. Please submit speaking inquiries via the contact form. Karen is willing to negotiate a speaking fee based on your budget, but asks that travel costs be covered.